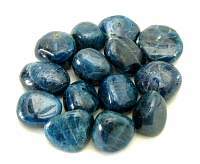 Blue Apatite is a tumbled stone that rids a person of guilt and grief. 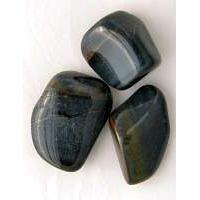 Apatite is a crystal that mystically can stimulate the thoughts and ideas. 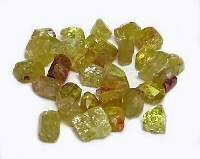 Apatite gemstone is said to increase intellect, imagination, and intuitive awareness. As a meditation or awareness tool, it is said to help you maintain focus, learn, concentrate effectively, think clearly, and communicate better. 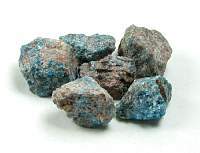 Apatite stone can be used to enhance the energies of other crystals and stones. 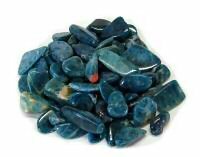 Having Apatite healing crystal near you can bring harmony on all levels, and brings inner peace. 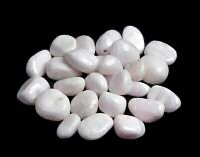 Metaphysical healing lore says that apatite may physically assist with controlling weight gain, stuttering, hypertension, nail problems, allergies, arthritis, bones, muscles, nervous system.with nail problems, allergies, arthritis, bones, muscles, nervous system. 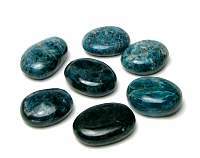 Apatite is primarily related to the third eye chakra.